Canadians who were surveyed about two Canada Revenue Agency letters aimed at encouraging the tardy to file their taxes questioned their credibility, saying the messages were too “promotional” in tone. Earnscliffe Strategy Group conducted several focus groups across Canada for CRA in September, 2018 to both find out why some people don’t file their federal taxes and to evaluate two different letters being sent to non-filers. Both letters emphasize the carrot over the stick, telling recipients they could be missing out on benefits and tax credits by not filing. “There was definitely a sense, across all the groups, that the letters were a little promotional in their approach, which caused many participants to question the credibility,” the report says. Experts say this points to an ongoing trust issue many Canadians have with the CRA. “Certainly from a lot of peoples’ experiences, and from some of what I’ve seen here, that skepticism is warranted,” Ian Rothman, a chartered professional accountant based in Markham, Ontario, told CBC News. The CRA says the letters are sincere, but concedes that taxpayers might not see them that way. “In the case of this public opinion research, we heard from some taxpayers that our approach, even if well intended, can be perceived in manners which are unintended,” the agency said in an email statement to CBC News. Minister of National Revenue Diane Lebouthillier acknowledged in a written response emailed to the CBC that the CRA has long had a reputation for instilling fear in Canadians — but the government is trying to change that. “This new approach requires a change in organizational culture. And culture change takes time. Over the last three and half years, the CRA has worked hard to embrace this new way of doing things,” Lebouthillier said. The focus group research also showed that the letters were not effective in their purpose because, for the most part, very few people in the focus group remembered having received the letters in the first place. The report says that of the non-filers who subsequently went on to file their taxes, only one did so as a result of receiving the letter. “Most would have preferred a simple reminder that their taxes had not yet been filed,” said the report. The targets of the letters are low-income individuals and people with children who might benefit from the GST/HST credit or the Canada Child Benefit. Even people who owe money, Rothman said, should file to avoid financial penalties that can compound over time. The report found that Canadians who don’t file have a wide variety of reasons for not filing — problems with a new accountant, other unresolved claims with the CRA, being unable to reach someone at the agency or past negative interactions with the CRA, to name a few. Some felt that given their “personal economic situations, and the fact they were always owed some money, the time and effort required to file taxes did not outweigh the benefit they would receive from CRA,” said the report. In fact, focus group participants used words such as “complicated,” “unfair,” “highway robbery” and “bullies” to describe the CRA and the act of filing taxes. The CRA says that it commissions third party public opinion research to get honest and unbiased feedback directly from Canadian taxpayers. “When an organization asks for honest feedback, it has to be prepared to hear some hard truths,” the agency said in its emailed statement. The focus groups made a number of suggestions for improvements at CRA, such as creating YouTube video tutorials on tax filing, making available free online filing software, running income tax clinics across the country and offering the services of volunteers to help with filing. 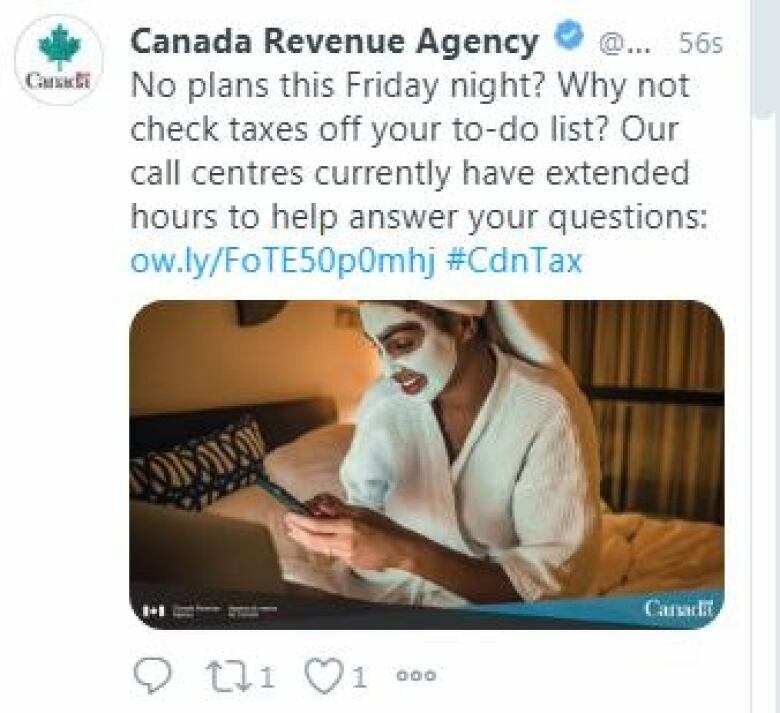 The CRA says that some of the software products listed on its website are free of charge, based on an individual’s tax situation or income levels. The CRA says that it is analyzing the results of the report to decide how the letters to non-filers might be improved. A new version of the letter is tentatively scheduled for release later this year.